Free access to Social Policy and Practice … only available this November! Social Policy and Practice is the only UK-produced social science database focused on public health, social care, social services and public policy. It is exclusively available via Ovid – the internationally-recognised leader in medical information services – and this November they are offering librarians and researchers the chance to test drive it for free! In the last ten years many UK-produced databases have ceased – funding has stopped, publishers have closed or databases have been taken over by international publishers (which reduces the balance of UK content). At a time when finding up-to-date and accurate information has never been more important, organisations and individuals in the public, private and third sectors need to know where the best resources are. All members of the Idox Information Service have access to the Idox database, which contains thousands of reports and journal articles on public and social policy. The subjects range from planning and infrastructure to housing, health, education and culture. Each entry provides full bibliographic details, as well as an abstract summarising the key information contained in the original item. Keywords and subject headings are allocated to each record, making it more likely to appear when searching for relevant items. Often, the abstract is enough to provide a searcher with the information they need. But if the full document is required, this is available, either online or by download. The database is a highly respected library of high quality information, and brings together a wealth of articles and reports that are not available in a single source elsewhere. To provide a flavour of what the database contains, here’s just a selection of the hundreds of items that have been added since the beginning of 2018. This report explores effective ways of tackling rough sleeping, drawing on a review of international evidence. The authors discuss key findings, impacts and barriers in relation to nine key interventions: hostels and shelters; Housing First; Common Ground; social impact bonds; residential communities; ‘no second night out’; reconnection; personalised budgets; and street outreach services. The report also highlights opportunities to improve the evidence base. In 2017, the Commons Education Committee conducted an enquiry into the foster care of children in England. The resulting report focuses on valuing young people and foster carers. As well as looking at the support for young people, including placements, engagement and transition to adulthood, the report considers the working conditions of foster carers, including financial support, employment status and training. The report concludes that foster care provides an invaluable service to society, but notes that England’s foster care system is under pressure. The Committee makes several recommendations for government, including the establishment of a national college for foster carers. Still planning for the wrong future? Inactivity is one of the main factors impacting on health, and this article considers how planning may be a cause of, and a solution to, inactivity. The article discusses the health consequences of mass motoring in urban areas and the need to develop healthy communities through planning. The author calls for planning to develop more walkable, cyclable and public transport-based places, and recommends that places should be designed to make active and public transport more convenient than driving in order to increase physical activity and improve health. Brexit is, of course, a significant issue, and is likely to affect many different areas of public policy, from trade and the economy to public spending and devolution. The Idox database is collecting a growing library of reports and articles covering this important topic. This GLA report, for example, considers different scenarios to model five possible outcomes for the UK and London of the UK leaving the European Union (EU) Customs Union and Single Market. The report draws on data from the Office for National Statistics (ONS) and the macro-sectoral model, E3ME, and suggests that the more severe the type of Brexit, the greater the negative impact will be on London and the UK. It predicts that Brexit will not only reduce the size of the UK economy, but also put it on a slower long-term growth trajectory. Poor productivity is one of the most acute problems affecting the UK economy. This article suggests that the key to improving productivity lies with developing a happy, engaged and well-motivated workforce. And to reinforce the argument, the author provides evidence from a crystal glass products company in Cumbria. The article explains that since the company introduced a collective bonus for all employees based on turnover and margin improvement, turnover has almost doubled and gross margins have more than tripled. The article attributes this success to the company’s staff working together to make small, continuous improvements. Increasing concerns about the scale of plastic waste, particularly in the world’s oceans, has pushed this issue to the top of the political agenda. This article reviews government and industry responses to the problem, including the benefits and drawbacks of deposit return schemes. These are just a few examples, but there are many more reports and articles in the Idox database. For most of these items, full text access is also available, either via website links or through our document supply service. Access to the Idox database is just one of the services provided to members of the Idox Information Service. Other benefits of membership include our enquiries service, a weekly current awareness bulletin and fortnightly topic updates. If you would like to know more about the benefits of Idox Information Service membership, please get in touch with our customer development team today. We’re proud to be part of the publishing consortium which creates Social Policy and Practice, the only UK-produced social science database focused on social care, social services, public health, social policy and public policy. So we’re thrilled that during October anyone can get free access to the database via Ovid and Wolters Kluwers’ Health, the internationally-recognised leader in medical information services. There’s still a few days left of the special offer, so why not test drive it for free! Over the last few years there have been major changes in the public health landscape in the UK. Responsibility for commissioning many public health services moved from the NHS to local authorities, as a result of government reforms. The King’s Fund has suggested that one challenge of this shift has been bridging the cultures of the NHS and local authorities. In particular there were clear differences in the understanding, value and use of evidence to determine decision-making and policy. The continuing pressure on local authority budgets has also threatened the focus on prevention and joined up service delivery which is essential for tackling many public health issues. 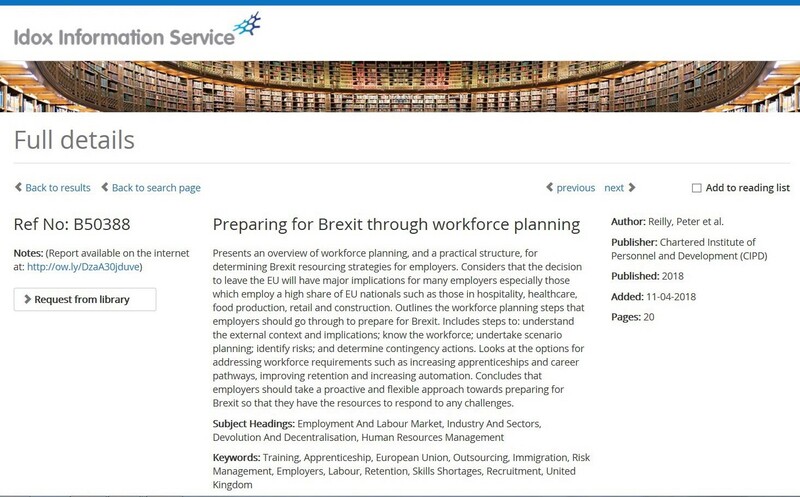 As a UK-produced database you will also find information on topical policy issues such as minimum alcohol pricing, sugar taxes, and the possible impact on the health and social care workforce of Brexit. Social Policy and Practice boasts over 400,000 references to papers, books and reports and about 30% of the total content is grey literature, which is hard to find elsewhere. The focus is on research and evidence that is relevant to those in the UK. A large proportion of material relates to delivery and policy within the UK and the devolved nations of Scotland, Wales and Northern Ireland, but the database also contains resources of interest from Europe and across the world. To see for yourself why so many UK universities, local authorities and NHS bodies rely on Social Policy and Practice as a resource, visit Ovid Resource of the Month for instant access. Want to know about social work theory or neighbourhood planning? We’ve got the answers! With the wealth of information available these days, it’s no wonder we hear the term information overload more and more. Whatever topic you are looking for information on, it can be difficult to find sources you you can rely on, with internet searches retrieving a lot of unreliable material. This is where services such as ours can be invaluable. 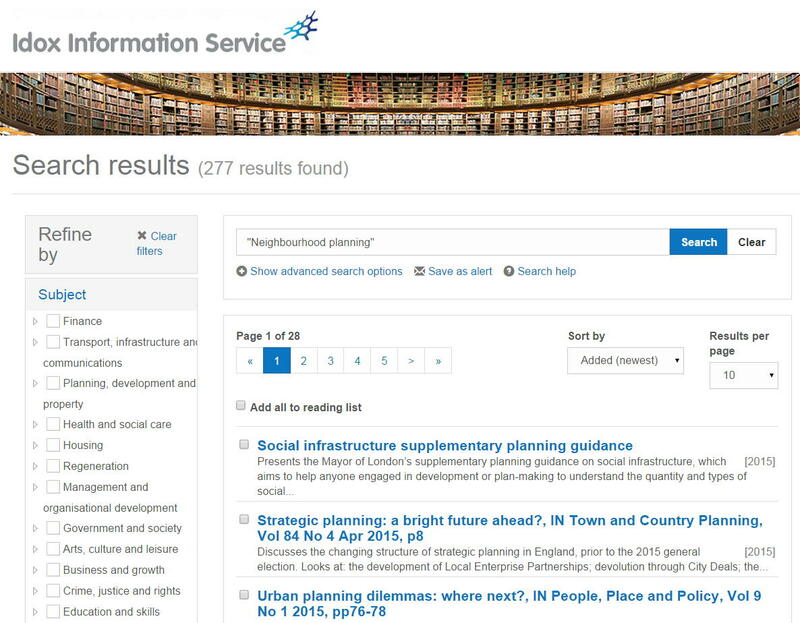 The Idox Information Service database contains over 200,000 items with around 200 new items added every week, covering all aspects of public and social policy. The material consists of research reports, articles from academic journals and industry magazines, policy, guidance, evaluations, case studies, good practice and grey literature. All are chosen and summarised by our research team, so you know that you are accessing reliable resources, many of which are not freely available on the internet. Our database has a wide range of material covering various aspects of these topics, including recently published work that keeps our members up-to-date. Members searching on any of these topics can be reassured that the latest research and commentary is included, as the database is updated daily. For example, for the search on placed-based approaches, a recent article from Regions, The meta-approach to regional development: a re-appraisal of place-based thinking looks at the thinking which informs the practice of place-based approaches to local and regional development. The Department for Business, Innovation and Skills’ recent report on whether worker well-being affects workplace performance could be of particular relevance for the search on well-being and work, as could Public Health England’s report on workplace interventions to improve health and well-being. With all the media coverage around child exploitation cases in recent times, it’s not surprising that our members continue to search for recent information and good practice in this area. One of the most recent items on child exploitation we have added highlights lessons from Oxfordshire, where the council’s reputation has been raised to one of national exemplar in tackling child exploitation. Searching on joint working between universities and businesses would reveal promising practice of employer-education engagement across London and the South East in a recent report by the National Foundation for Educational Research (NFER), as part of a study examining how small and medium-sized enterprises (SMEs) and micro-businesses in particular work together with secondary schools and colleges. In addition, a recent UK Commission for Employment and Skills (UKCES) report on university and employer collaboration outlines the ways in which universities and employers can form collaborative partnerships to develop higher level skills. 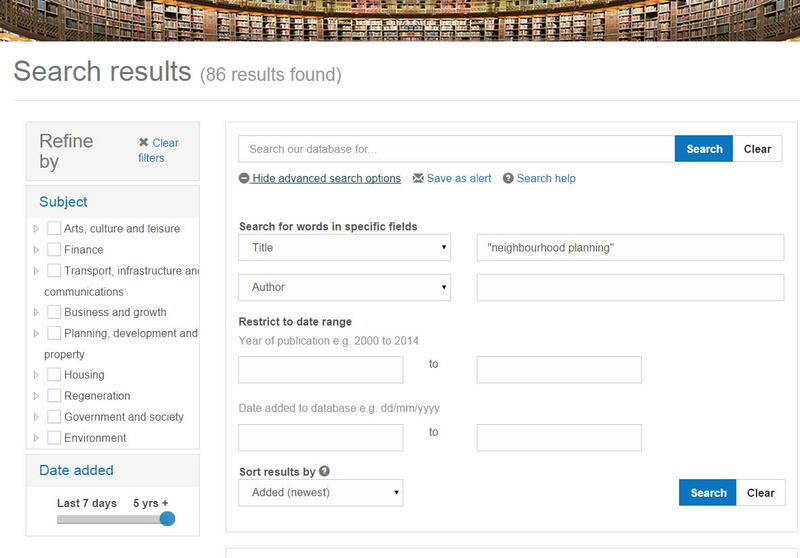 In comparison, searching for “neighbourhood planning” on Google returns rather more with around 260,000 results. I think it would be fair to say that it may take a long time to find the quality information required if you had to sift through all these! Members of the Idox Information Service can conduct their own database searches, or can request a search by one of our Research Officers. Become a member of the Idox Information Service now, to access our database and current awareness ervices in the areas of public and social policy. Contact us for more details. If you follow our blog, you’ll know that we care passionately about promoting the uptake of evidence and research by policymakers and practitioners. It’s easy to be complacent and assume that when public money is at stake, decisions are made on the basis of evaluations and reviews. Unfortunately, this is still not always the case. The current evidence-based policy agenda in the UK encompasses initiatives such as the What Works network, the Local Government Knowledge Navigators and independent organisations such as the Alliance for Useful Evidence. They are working on fostering demand for evidence, as well as linking up academics with those in the public sector to ensure that the research community is responsive to the needs of those making decisions and designing/delivering services. A recent article in Health Information and Libraries Journal highlights another challenge in evidence-based policy however. A mapping exercise has found that literature reviews often ignore specialist databases, in favour of the large, well-known databases produced by major commercial publishers. Within the health and social care field (the focus of the article), literature reviews tend to use databases such as Medline, Embase and Cinahl – and overlook independent UK-produced databases, even when they are more relevant to the research question. Research has shown that how (and why) databases are chosen for literature searching can “dramatically influence the research upon which reviews, and, in particular, systematic review, rely upon to create their evidence base”. To generate useful evidence for the UK context (relating to UK policy issues or populations), researchers need to understand the most appropriate database to search – but unfortunately our own experience of looking at the detail of methodologies in evidence reviews, suggests that in many cases the only databases searched are those produced by American or international publishers. Grey literature is a valuable source in evidence reviews – and again this is often overlooked in the major databases which tend to focus only on peer-reviewed journal content. 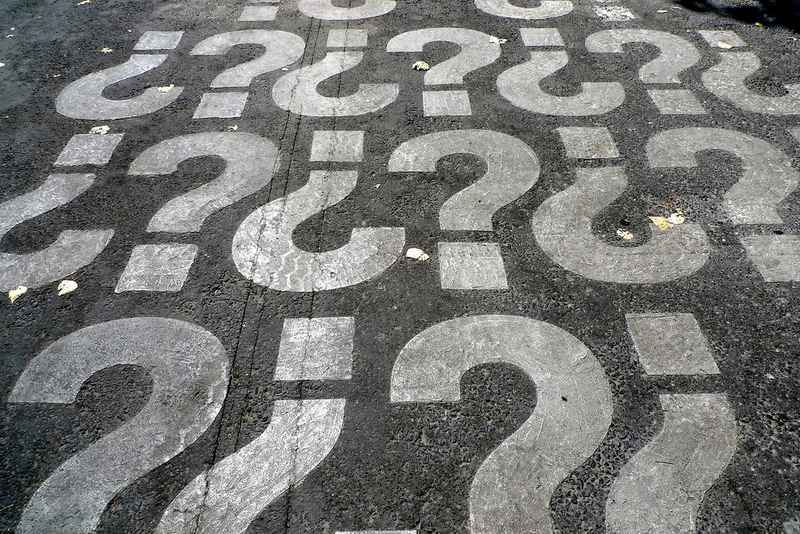 A recent Australian report ‘Where is the evidence?‘ argued that grey literature is a key part of the evidence base and is valuable for public policy, because it addresses the perspectives of different stakeholder groups, tracks changes in policy and implementation, and supports knowledge exchange between sectors (academic, government and third sector). Another benefit of UK-produced databases is that they will make use of UK terminology in abstracts and keywords. At this point I should declare a vested interest – The Knowledge Exchange is a member of a UK consortium which produces the Social Policy and Practice (SPP) database. The SPP database was created in 2005 after five UK organisations, each with a library focused on sharing knowledge in community health and social care, agreed to merge their individual content in order to make it available to the widest possible audience. The current members of the SPP consortium – the National Children’s Bureau, the Idox Knowledge Exchange, the Centre for Policy on Ageing and the Social Care Institute for Excellence – have just been joined by the National Society for the Prevention of Cruelty to Children. Inclusion of the NSPCC’s bibliographic data greatly enhances the coverage of child protection research in the database. SPP has been identified by NICE, the National Institute for Health and Care Excellence, as a key resource for those involved in research into health and social care. We want the UK research community to understand what SPP offers, and to use it when undertaking literature reviews or evidence searches. This process of awareness raising should start with students – librarians in universities and the UK doctoral training centres have a key role in this as it ties in with the development of information literacy and critical appraisal skills. Ignoring specialist sources such as SPP risks introducing bias – at a time when initiatives are attempting to embed research and analytics in local government and the wider public sector. Information on the coverage of Social Policy and Practice is available here and the distributor Ovid is offering a free 30-day trial.